Our Winter Sale has gone down a treat so far this year, with customers scooping up some great discounts on Fred Perry, Farah, Gym King, Lyle and Scott, Diesel and many more. We’ve since added even more lines to the Sale, such as in this blog! Don’t forget — you can save a further 10% on sale price with the offer code SPRING19. Just type it in at online checkout. Faux Fur Hood Jacket — Was £145 NOW FROM £100! This tough twill fabric will keep out the elements in style for many winters to come. 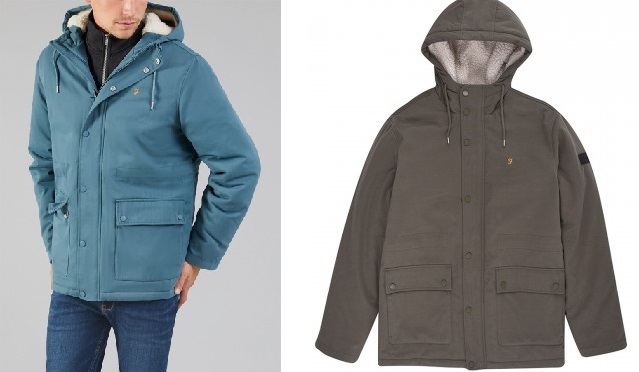 The interior boasts a comfortable half “Sherpa” lining around the hood, back and chest. The zip-and button placket offers further protection, as do the knitted storm cuffs. Easily our biggest selling winter jacket last season, get one now before the icy forecast hits later this week! 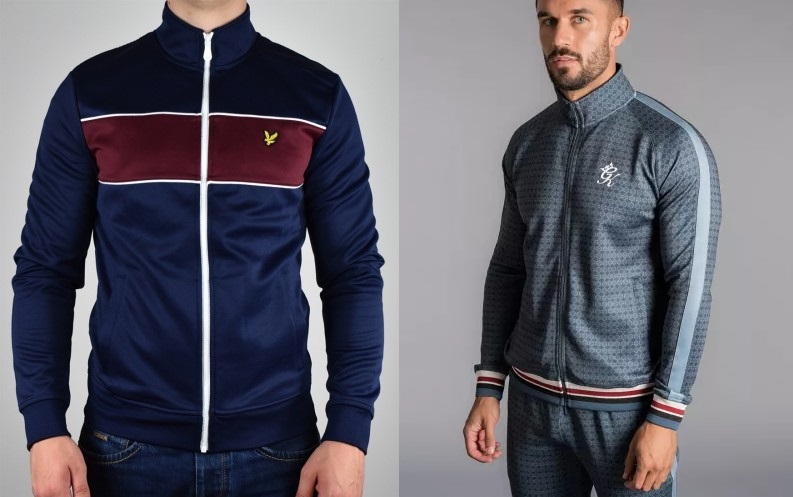 Sporty Track Tops — Was £80/70, NOW £50! Two of our most popular track tops are now massively reduced, but hurry — there’s only limited sizes left! Lyle and Scott’s cut and sewn block panel track top literally glimmers with a gorgeous cotton/poly fabric. The Gym King track top boasts a geometric diamond pattern with sporty welt and cuff tipping. 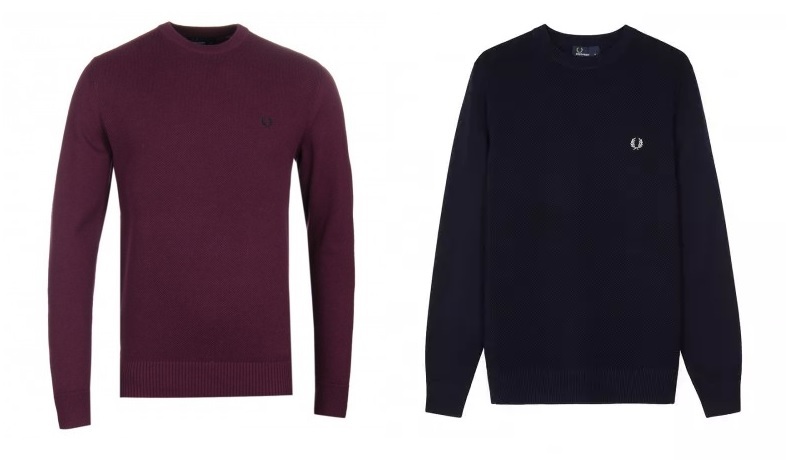 Fred Perry Knitwear — Was £110, NOW £85! No one does a classy pique fabric like Fred Perry. These stunning jumpers boast a cotton/merino wool blend, resulting in an excellent warmth-to-weight ratio. We’ve only a handful of these super-warm jumpers left, so be quick! Message us to reserve your size in store, and we’ll keep it aside for you to collect. Choose from Mahogany or Navy. Twin Tipped T Shirts — Was £40, NOW £35! 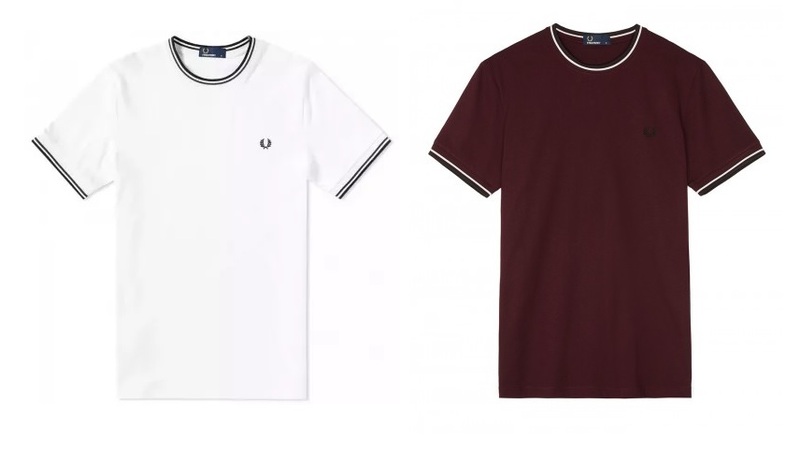 This relatively new addition to Fred Perry’s T-Shirt range features the famous twin tipping around the neck and cuffs. We are now offering a discount on a select range of colours, including Snow White and Deep Mahogany. New colours are about to come in for Spring Summer 2019, so keep an eye out! Gym King T Shirts — Was £35, Now £30! 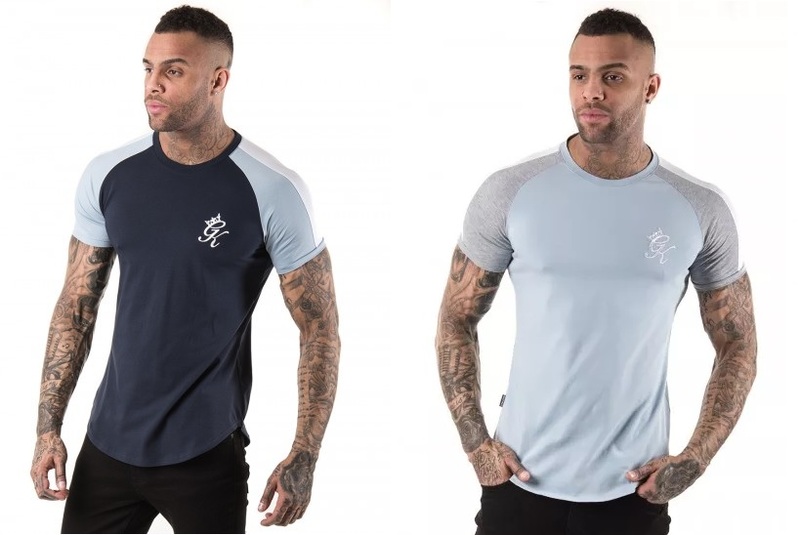 Gym King’s semi slim fitting T shirts are incredibly popular with sporty types and gym guys with a bit of muscle. These stretchy Longline Retro Stripe T Shirts are slightly longer than your average T Shirt and boast retro stripe detailing on the shoulders. Buy now in Navy Nights or Fog Grey Marl. 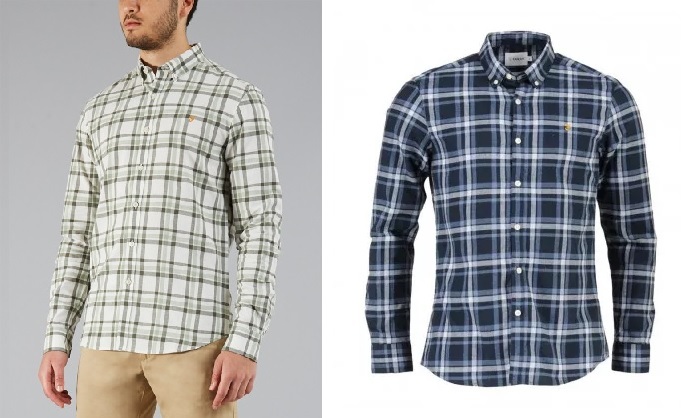 Farah Check Shirts — Was £70, NOW £35! Farah have produced an exceptional run of new shirts in the past couple of years, such as the “Staton” woven Check Shirts. We’re offering a one-off Half Price discount on this classic garment, available in Balsam and True Navy. 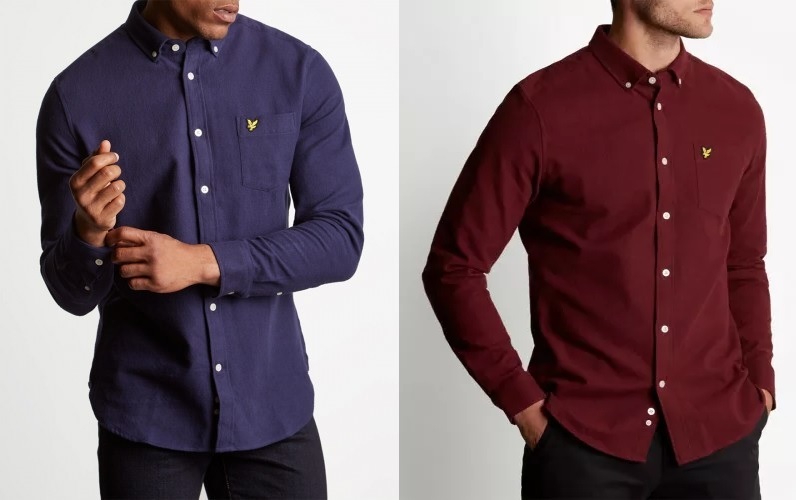 Or you can browse the full range of Farah shirts here. We work on a first-come first-served basis, so be quick! For something a little more substantial, try this winter weight flannel shirt by Lyle and Scott, now also Half Price! With a smart button down collar and chest pocket it’s equally at home in the office as on a night out. The lightly brushed cotton fabric is soft to the touch and ideal for layering over a T-Shirt. Limited sizes left in Navy and Claret Jug. Finally, a Happy New Year to anyone we missed! Previous6 New Spring Summer 2019 Arrivals! NextOur Biggest January Sale Ever!